What does your social media routine come down to? Is it all about tweeting a few links everyday and waiting for things to “happen”? Yeah, that might be a bit of an exaggeration, but I am pretty sure a lot of you folks, could extend your social media reach. I mean what sometimes happens is you get stuck in the same tasks and forget to explore the possibilities or simply ignore tactics that even you believe have a potential. Well with today’s post I would like to help you remember that there are a lot of things going on in the world outside of your social media routine-zone. Okay, that’s enough for an introduction, let’s move on to the practical part and namely the social media tasks in question! Have you been active on LinkedIn in the past few months? If the answer is yes, then good for you! I’m sure though that like me a lot of marketers shy away from this particular platform. One of the reasons for that probably has to do with the fact that it is a little different from your normal social network. It is on a little higher level. There are neither funny memes you see on Facebook, nor animated GIFs you see on Google Plus. But what do you expect – after all it is a network for professionals! But don’t let that fact scare you. Instead let’s look from another angle. Did you know that unlike most social networks, a rather high percentage of your contacts actually sees your updates? And did you also know that a really big part of what’s shared on LinkedIn is actually industry-related content? It means that posting content revolves a lot around sharing your expertise. This means that you can more freely share your content (among interesting articles from other places) without having to mix it with other types of updates (like on Twitter), because that’s exactly what LinkedIn users want – advice on how to grow in their respective niches. So what I’d advise you to do from this point on, is to log into your (long-forgotten) LinkedIn account, check your invitations, see who is worth connecting with and who isn’t, and move on to becoming an active user! Over time there have been a few redesigns, which probably made a lot of people to abandon this place. And if something has changed for the better, that has got to be the way sharing works now (sharing a piece of content on StumbleUpon means directly sending it to someone, so they get like a Facebook notification). Back then in order to reshare let’s say your latest post with someone, they first had to thick a checkbox and thus allow you to do so. Now what happens is that you can share content with everyone who has a mutual relationship with you (i.e. they follow you and you follow them). This of course makes the whole process a lot easier, because of the one action less that people have to take. Similar to what I said about LinkedIn – check out your StumbleUpon profile, see who has followed you, see what they are interested in and follow those who are relevant to you. Once you’ve done that move on to becoming an active member. 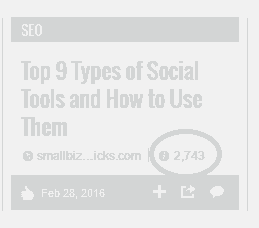 Every now and then (doesn’t have to be everyday) use the StumbleUpon extension (download for Chrome | download for Firefox) to like interesting content you come across. Also whenever you publish a new post and whenever you come across a really good piece of content, use the share feature we talked about above! It’s important to join Google Plus and I hope you are already there. Now let’s make the next step! Once you click the Communities tab (by hovering over the “Profile” or “Home” tab, depending on where you currently are on Google Plus), you will be taken to the “all communities” tab. On that page you can accept invitations to communities (which won’t always be relevant). From there clicking the “Recommended for you” will indeed bring you communities that are highly relevant to your interests. Simply select the community you’d like to join, click on it and you will be taken to its page, where you can join it (sometimes depending on how the community is set you might first have to be approved). So with that sorted out, let’s answer some important questions! Is it okay to share articles? Yes. While some communities are based on discussion only, a lot rely on relevant articles and infographics. Is it okay to share your own posts? First off, you need to select the right category. That is a very important step unless you want your post deleted or people telling you to learn to post properly. The second step is to upload an image (500 x 250 pixels are a good dimensions to start with). Alternatively if you have a wider-than-500-pixels image, you can simply paste the link to the post and you will get a beautiful preview. Thirdly you need to add a short summary of what the post is about. Ideally start with the title in bold and then add a short sub-headline with italics, describing the topic better. Then move on to the key highlights and add a link. How often should you post to communities? While communities are a great way to reach new people in your niche, they should not be overused. I’d say that a post once every couple of days is a good starting point. But of course there are a ton of communities, so one day you could share to one and the next to the other. Still keep in mind that a lot of the same people will be on those different communities. Triberr is place where you can meet like-minded bloggers, join them in what’s called tribes and share each other’s content. Sharing is not automatic. Instead you have a feed like on Facebook, where you decide what content to approve and what not to. Don’t forget that the whole platform relies on the reciprocation principle. If people stop going through their streams and approving posts, the system will collapse and no one will benefit from that. Wwhy Facebook doesn’t really care about people complaining about their pages’ reach plummeting to the ground? Well there seems to be a correlation between the decline of organic reach and the rise of Facebook’s stock prices. So it seems like while a lot of small business complain, the bigger companies keep pouring (or pour even more) money into advertising, both to gain and reach new fans. The real question is for how long will this continue? Will those same big companies be able to sustain Facebook’s monetization strategy, as tons of smaller Facebook marketers slowly start converting to Google Plus marketing? In the meantime however, counterintuitively, I would advice you not to abandon Facebook. While organic reach is falling as low as 1% it is still worth sharing your content over there. The key is to start doing it very time-effectively… or in other words simply adapt the content you share on Google Plus for Facebook. First post on Google Plus and then reshare to Facebook. In the process consider removing the hashtags (they weaken the performance of Facebook stories), taking off a few sentences out of articles’ summaries, always submitting by uploading an image (gets you the most views). What I believe to be some of the more important social media tasks that you need to stay consistent at in order to make steady progress. Now I would really like to hear your thoughts! Are you actively using LinkedIn to promote your business? Is StumbleUpon still one of your top traffic sources? What do you think about the changes Facebook is making to organic reach? I highly appreciate all comments, so please take a minute to leave yours! Hi Erik, I use LinkedIn almost daily – I do get notifications on there. I think it is a valuable source in many ways. Now Stumble Upon I haven’t used in years and I am thinking of making a new profile but is it really worth it??? I found it gave my websites a high bounce rate. Triberr is one of my highest sources of traffic and I use it daily on the weekdays and sometimes on weekends as well. A great source of blog reading comes from there, that is how I found this post today Erik…..Have a great new week. From time to time, I submit my best post to StumbleUpon. If you want to check the performance, you can visit your “liked” pages on your StumbleUpon profile, and you can see how many visitors you had. You’re right, Facebook ads are affordable and you can reach a targeted audience! Triberr rocks. I use it 2-3 times a week. Thanks for sharing your views, Lisa! I’m glad to see you writing about social media. I’m on Linkedin but I don’t accept every invitation. Sadly enough, some almost seem spammy to me. How do you weed out the professional from the ones that just want to get a hot date with you? I use Stumbleupon sparingly. I’m not a fan of the bounce rate, although I do understand that I’m not converting that well either. Overall, it sends traffic to build page views, but nothing else for me. I love love love Facebook! Facebook and Twitter is where the majority of my traffic stems from. Believe it or not, my business too. I share a lot on FB and Twitter and keep the interaction going using Buffer and Dlvr.it. I think it’s important for me to keep my presence there. Google+ and I have a love-hate relationship. Ok, seriously a hate-hate relationship. I recently removed the app from my mobile phone and maybe check in there one a week because I just don’t have the time for networks that aren’t working for me. Thanks for sharing an dHappy Monday! I don’t accept every invitation too, Brenda. I often receive contact requests from Chinese people, they don’t have anything to do with my market. My favorite one is definitely Twitter. Having more than 30k followers, gives me visibility and helps me market my content a lot. Thanks for adding Flipboard, Brenda. That’s a new and already popular one. Thanks for commenting, happy week! Great article erik. The good thing is I am on linkedin and continuously sharing good posts on it and thanks for the advice. I think now I will have to work on stumble upon. Thanks for the thumbs up, Sagar. First of All Thank You to shared very helpful knowledge. 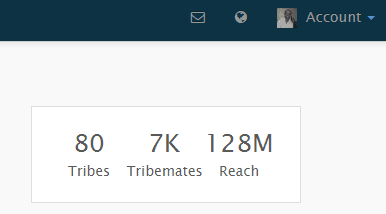 Basically, I, have published recently post and I have shared only on LinkedIn and me received more traffic after shared my content on LinkedIn. Now, I think I, does to focus on stumble upon. Thank you for writing about it Erik. I recently started promoting my post via LinkedIn and the cannot believe the response. Now among all the social media, I am getting maximum traffic from Linkedin. 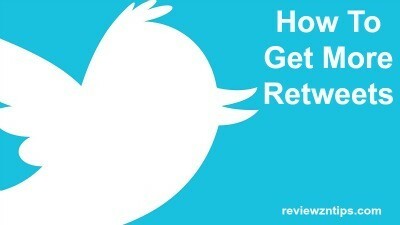 I already have followers, so it helped me to get good traffic. I’m a big user of LinkedIn. For the business, Facebook, Twitter and Google Plus. We have StumbleUpon but I haven’t used it for a while now and you just made me think of it after reading your article. I’ll be checking on Triberr as I have not personally used it before. It’s nice to see good feedback about it. 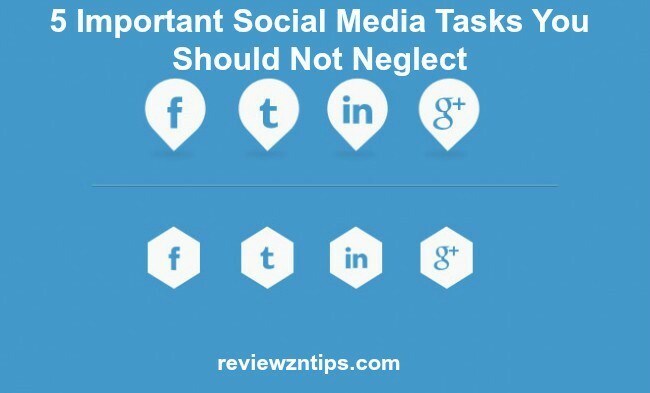 hope you can get some nice results from using those social media channels. The Thinks you have mentioned are much needed to be done any good marketer or blogger. Each of the social sites has their own benefits. mainly the use of triberr is always a great help. Glad you enjoyed the post, Robin.